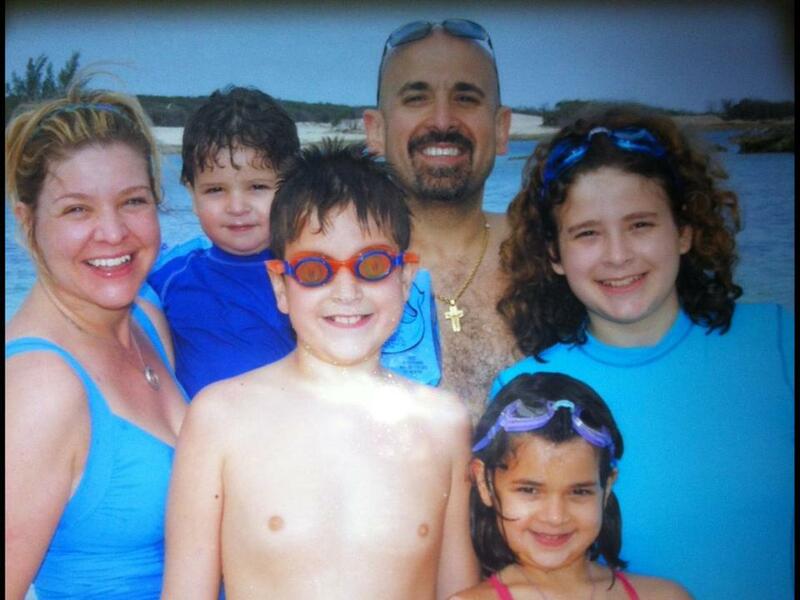 Jay Hajj, owner of the popular Mike’s City Diner, and his family enjoying sand and surf. After fleeing war-torn Lebanon in the mid-1970s, Jay Hajj and his family settled in Roslindale, where, at the age of 13, he got his first job washing dishes in a restaurant. Soon after he became a line cook, and by his late teens, he had opened a falafel shop in Brookline. Today, Hajj, 46, is the owner of the popular Mike’s City Diner in the South End (where, in 2000, Mayor Menino brought Senator Kennedy and President Clinton for breakfast), a partner in other local restaurant ventures, a regular on the Food Network, and is writing his first cookbook. We caught up with the successful restaurateur and married father of four, who lives in Medfield, to talk about all things travel. Favorite vacation spot? Captiva Island, Fla. It’s so close to home, but you feel like you’re in a different world. It’s very private and we go each year with some old friends and our families. It’s secluded, luxurious, and beautiful. Favorite food or drink while vacationing? Well, if I’m at the beach, it’s fried fish and cold beer. I love fish tacos by the beach with a frosty Corona. Where would you like to travel to but haven’t? Spain and Morocco, mostly for the food, the street food. I actually cook a lot of Moroccan food. I have a couple [of] Moroccan recipes in my upcoming book, including a Moroccan meatball with saffron lemon sauce that’s to die for. But I’ve never been there. My buddies Ken Oringer and Jamie Bissonnette, meanwhile, cook some amazing Spanish food at Toro next door to Mike’s City Diner. I’ve really grown to love that cuisine, too. One item you can’t leave home without when traveling? I guess the only thing I really need is my phone, of course. It’s hard to believe it wasn’t that long ago that traveling overseas meant you were out of communication with everyone. When we left Beirut for Boston back in 1978, I thought we’d never see our friends and family again, maybe never talk to them again. These days, you can be anywhere in the world and still get all your work done back home. I think we forget how transformative the cellphone has been. Aisle or window? Aisle. It’s easier to maneuver and you can stretch out a little into the aisle if you need to. Favorite childhood travel memory? My buddy Billy Papadopoulos and I went to Disney World by ourselves when we were 14 years old. We lied to our parents [and told them] that we were going with each other’s families. We walked into a travel agency in Roslindale Square and bought plane tickets. Try doing that today. Then we got a van to Logan Airport. We stayed at a cheap, seedy hotel in Orlando. It was a blast! I’m surprised we didn’t get killed. Guilty pleasure when traveling? I eat too much! To me, travel is all about the food. I eat every second my body allows me to. Best travel tip? Find out where the locals eat first. I mean, I love fine dining and the best restaurants, but I’m always looking for that spot that hasn’t been discovered yet. To me, the best way to understand a culture is to get to know its food. The spot that really jumped out recently was a place in Dubai called Zaroob. It means “alley” in Arabic. It has all the old Middle Eastern food I grew up with, but that you don’t find often in restaurants, even over there. My favorite was the fool moudamas, a breakfast dish made of marinated fava beans, lemon juice, olive oil, and garlic. In fact, now that I think about it, I should probably put that recipe in my cookbook. It’s delicious!